Cats are loving animals and cat owners know how naughty they can be at times. 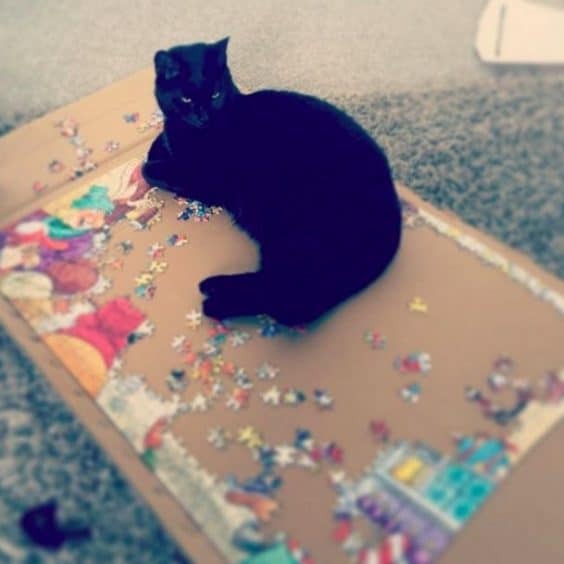 Any cat owner would agree that cats tend to behave in a strange manner at times, which makes you think why they are behaving like this. One thing is sure, these strange behaviors make them very adorable and loving. Cat owners love clicking images of cats sitting or sleeping cats in places where they are not supposed to be doing that. These images are funny and make you laugh and think what made this kitties behave like this. 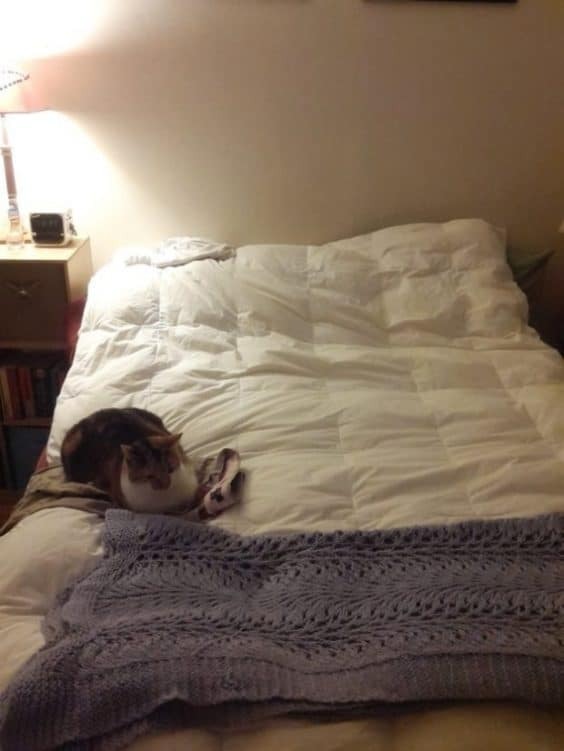 The following sets of images are some very funny pictures taken by cat owners when they found them sleeping exactly where they shouldn’t be. 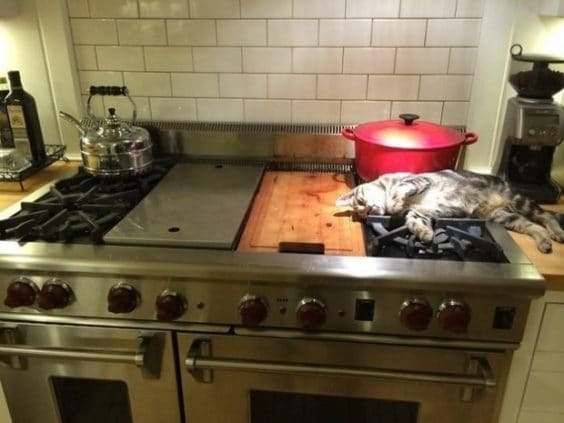 1.Who would expect sleeping cat in such an uncomfortable place. 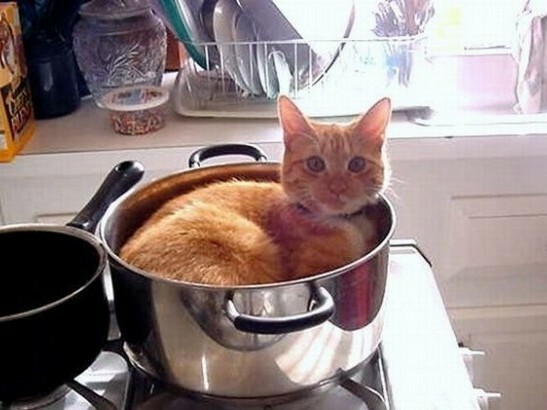 This cat has decided to keep himself warm by sleeping on a gas burner; probably he is sure no one will switch it on. A very confident cat. But, you wonder how he can doze off on the burner as if he is sleeping on a mattress. The only reason one can think of is he is guarding something interesting inside the red pot behind him. 2.This guy has an entire soft bed at his disposal, but still he has chosen to sleep on the clean pants. Don’t understand this kitty and his love for clean pants. That’s the closest place for sitting after jumping on to the bed. He felt so tired to move on the bed that he decided to sit on the pants itself. There is no difference for him, as long as the place provides him with a nice sleep. 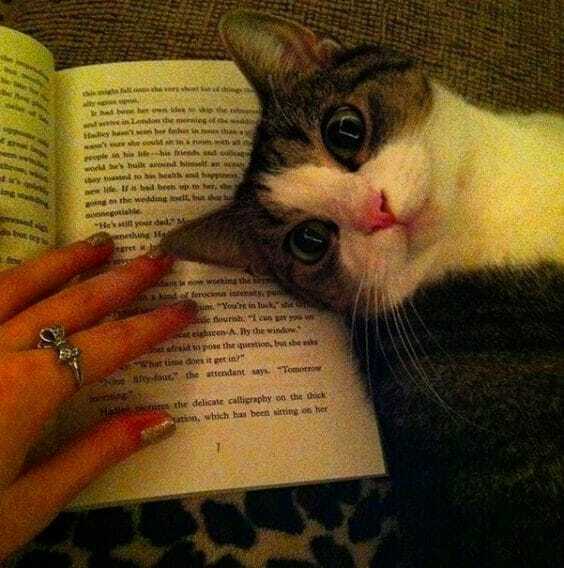 3.What a cute little kitty, look at the way he has positioned himself on the book. Now, you cannot take your eyes off him. Maybe he wants all the attention and love from his owner. A classic attention seeking behavior that he must have learnt from the kids or adults maybe. 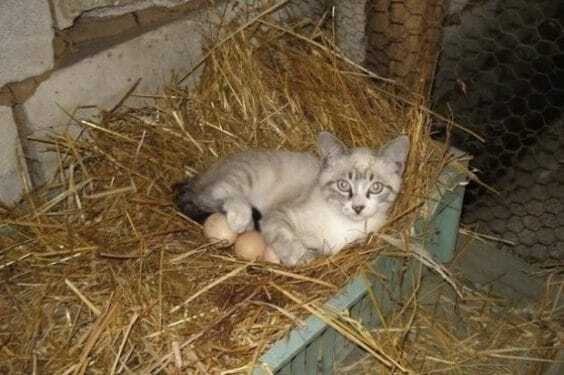 4.Look at this cat sitting on eggs and feeling pretty comfortable out there. This fella has decided to raise the chicks or does he want to say that these are not his. Hope the mother is happy about it and this kitty doesn’t roll the eggs down thinking it to be a ball for playing. His warmth will ensure the eggs get hatched soon. 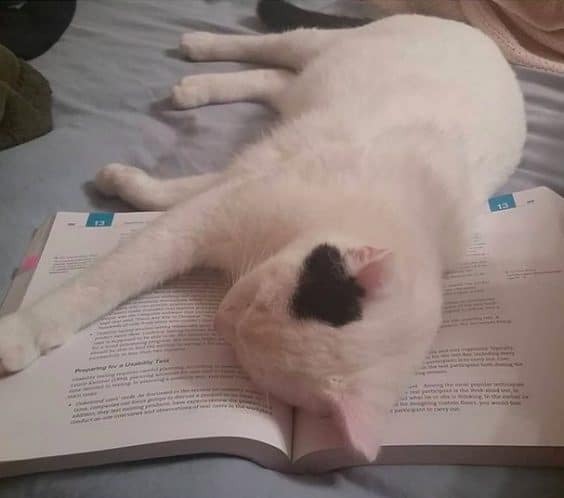 5.This kitty fell asleep while studying. These books put him to sleep, though he tried a lot to stay awake and finish reading the book, but that attempt failed miserably. 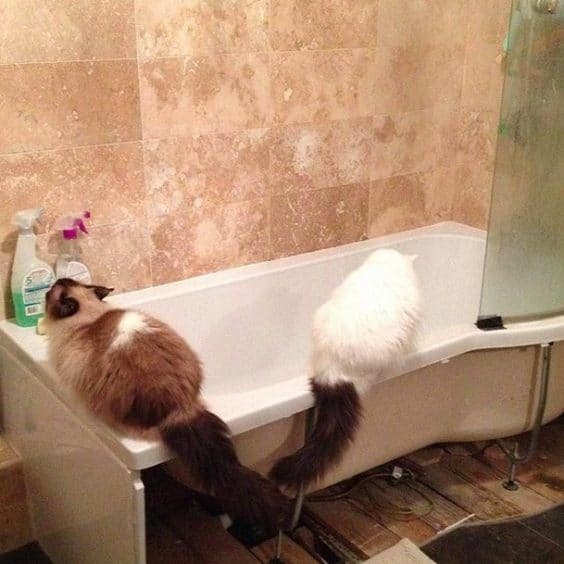 6.These cats are close friends and decided to check how a bath tub looks from inside. Looks pretty deep my friend, not even a drop of water to drink. 7.The cat here is quite comfortable sleeping on the gloves of the owner. Go look for another pair if you don’t want to burn your hands while taking out the cake. 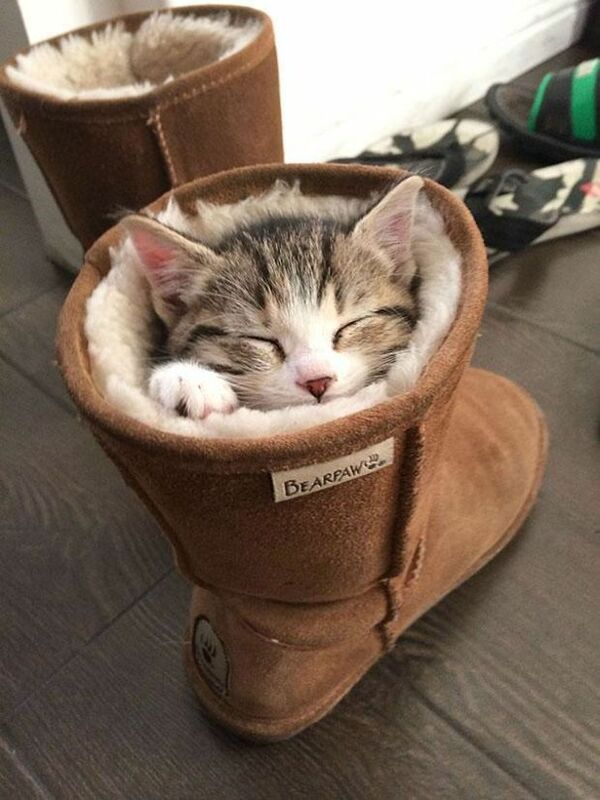 This guy is feeling warm sleeping out there. 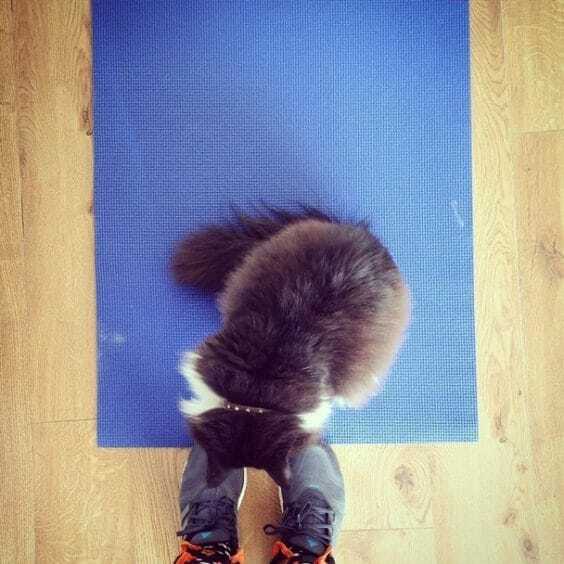 8.Kitty decided to do his daily yoga asana when his owner came by. Now, he is asking him to go away and not disturb him. This kitty has finally settled on the yoga mat for a long time and the owner doesn’t know whether he is sitting or sleeping. He seems to be confused about his asana. 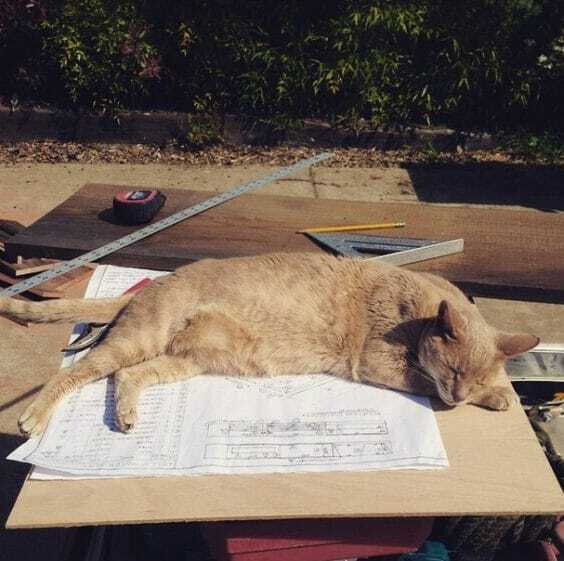 9.The boss in the opposite cabin has left his room for work and won’t be back for a while, so this sleeping cat decided to take a tea break and almost fell asleep on the working table. 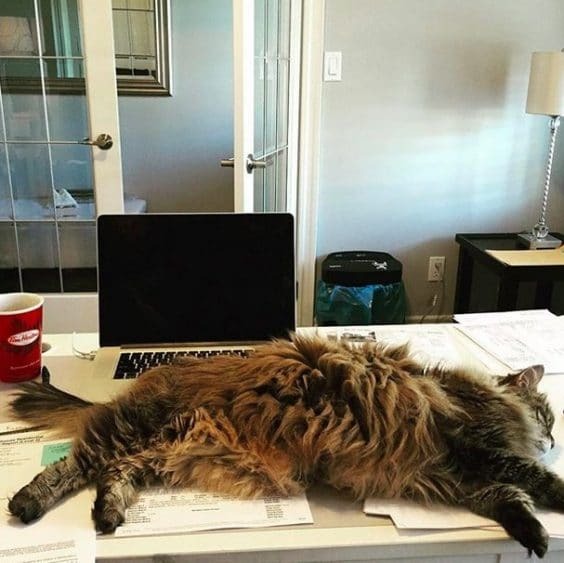 He has decided not to allow anyone work for the day. 10.This cat looks like in his zone and doesn’t want anyone to question him about his activities. His serious expression conveys a lot. This fella has occupied lot of space on the carpet and is not keen on sharing it with others for now. 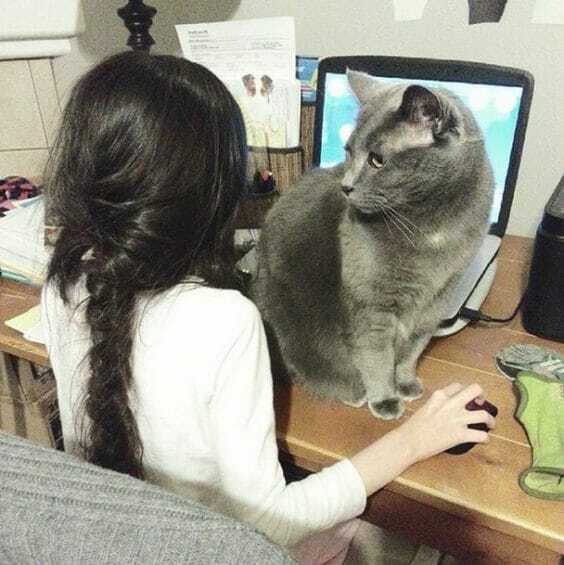 11.This big guy has decided not to let his human friend from playing on her computers. He is looking to say “don’t play talking Tom, instead talk to me, I talk better”. The little girl seems unfazed by his looks, but he has decided not to leave. 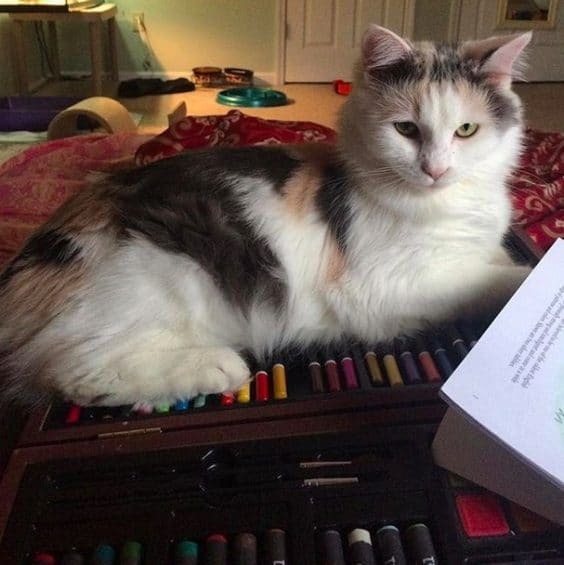 12.Stop playing those boring computer games when you have a smart and intelligent cat with you. 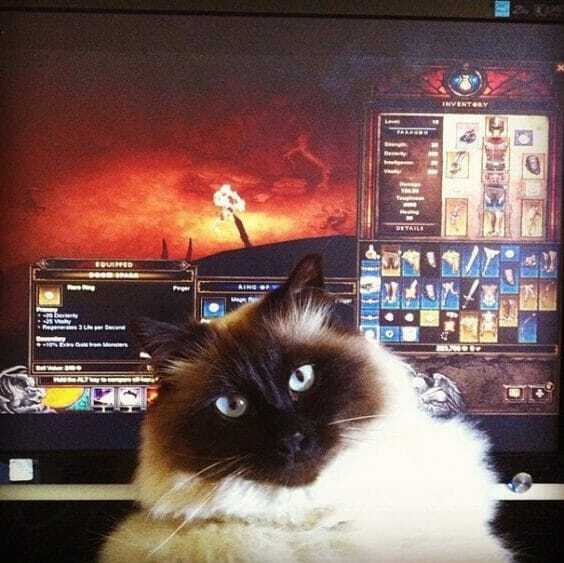 This feline wants his owner to spend more time with him or play a game of fetch, instead of playing games on his PC. A valid point from him. 13.Cat sitting on the table and making sure his owner doesn’t ignore him. Probably that’s the way he wants to convey his message to his loved ones in the house. He looks so cute that you wouldn’t dare say no to this chap. 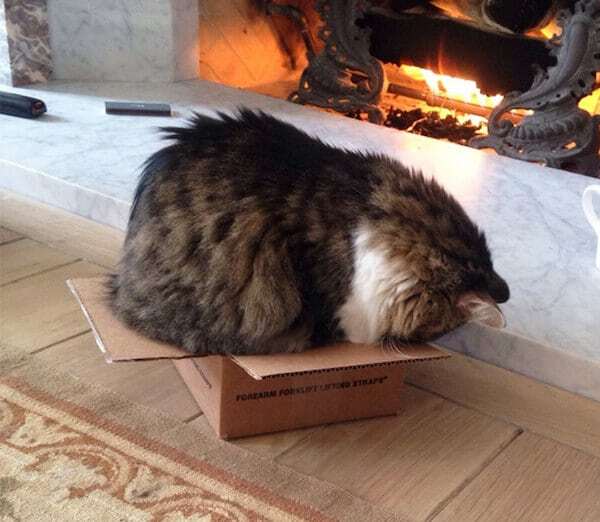 14.He found this box pretty spacious for him to relax away from the surrounding noise. Didn’t expect his owner to come by and surprise him. Look at his surprised expression, they convey a lot. 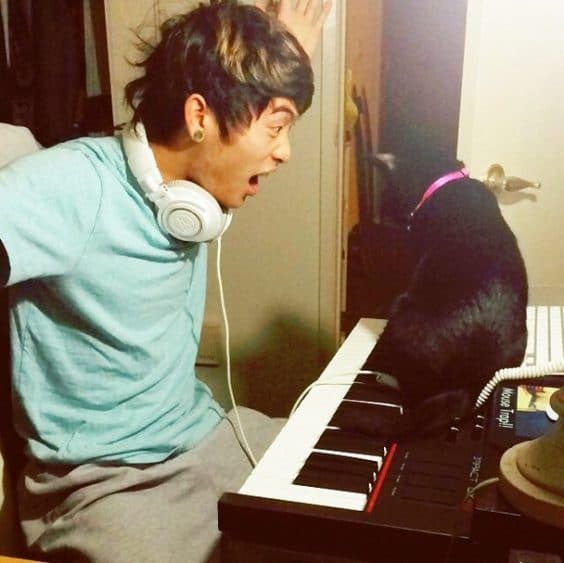 15.This guy just disturbed his owner, who was busy composing a music tune. But, this kitty is pretty unfazed by his owner’s anger; instead he prefers to ignore the angry expressions. Smart move by the cat sitting. 16.You guys maybe busy with work, but this little fur ball looks extremely relaxed and content. Maybe the lunch was heavy for him and the natural surroundings in the outdoors made this fellow go to sleep. Not his fault really. 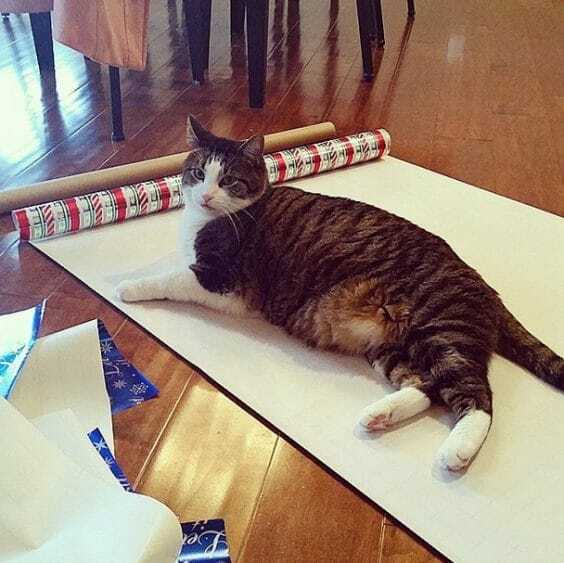 17.Looks like the decoration paper was spread out for him. A good place for this kitty to lie down and have a look at what is going around him. 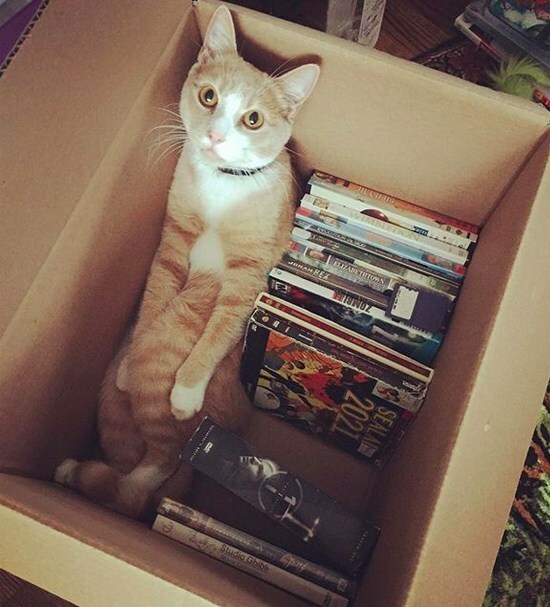 He is so settled that he has no intention of leaving soon. 18.That’s a big spreadsheet for this guy to stretch his legs. 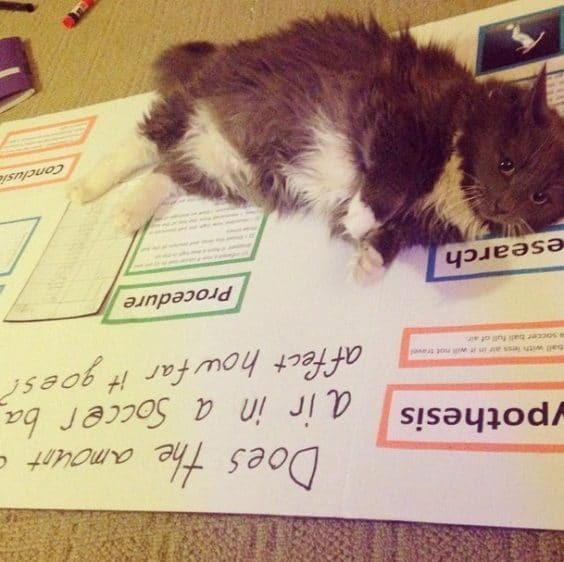 He doesn’t care about your science projects, which are not his issue at all. He is looking to say “wake me up for dinner”, I am dead tired. 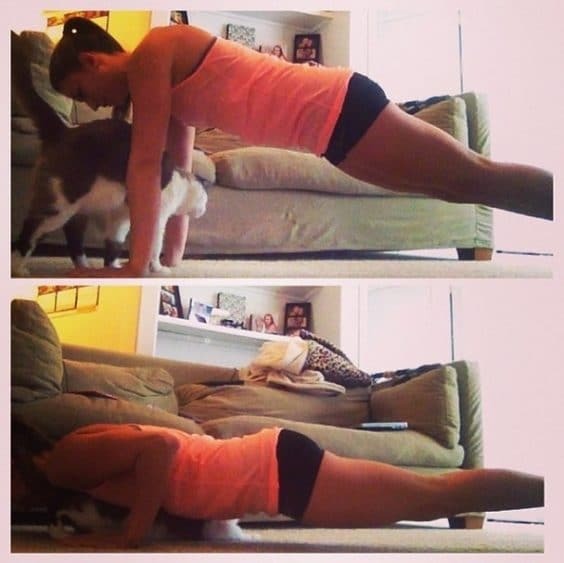 19.Push-ups without me, that’s what this kitty wants to say. He has no plans to let his owner complete her exercise; instead he is keen on rubbing himself against her hands. This guy is a good learner and knows how to get his ways. 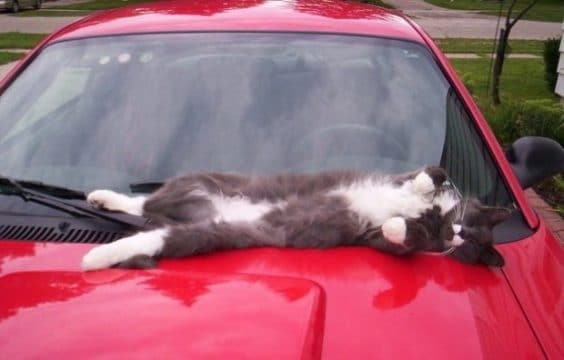 20.No, don’t go out without me, that’s what this cat sleeping on the bonnet wants to say. It’s nice and sunny outside, why don’t we go out to some restaurant, so that you can buy me some interesting treats. 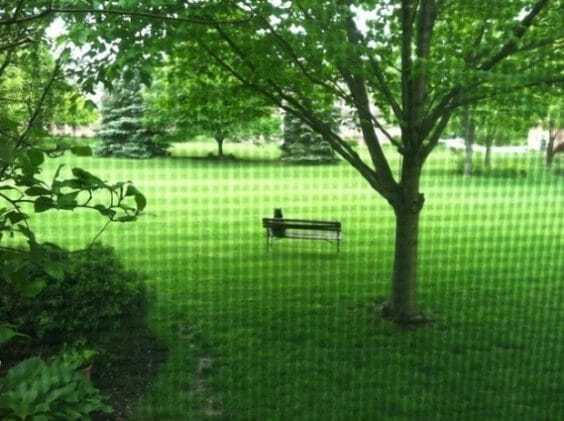 21.He loves the greenery and the surrounding nature. He has joined his owner to the park and now he just finished his sleep on this bench. Waiting patiently for any treat at the park maybe. 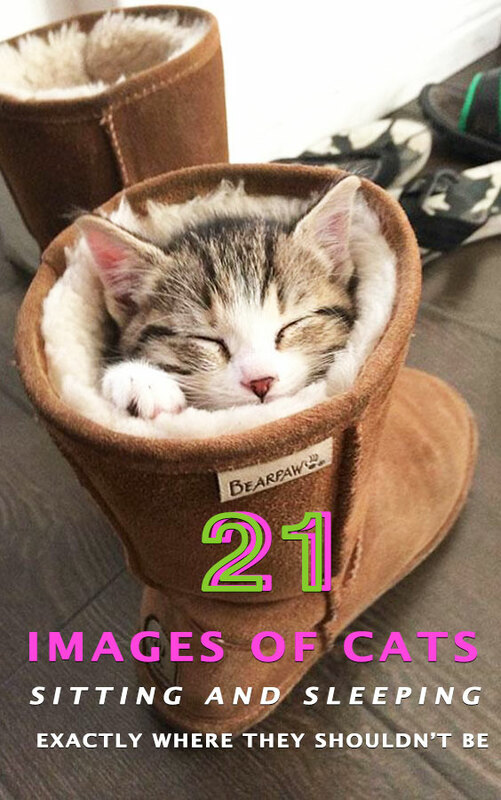 We all know that cats can be unpredictable, but the above sleeping cat images show their funny side too. 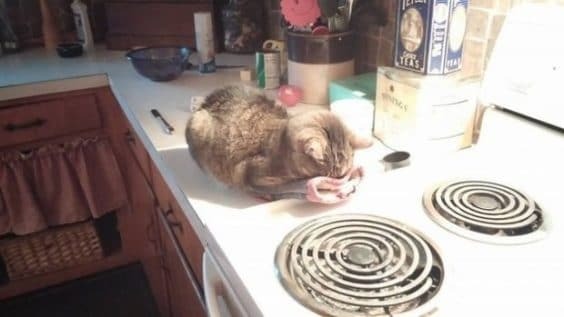 These images prove that cats can behave strangely and sleep and sit in places where they are not supposed to be sitting, but they do give reasons for us to smile.